All the fighters slated to participate in Sunday’s “UFC on Versus: Jones vs. Matyushenko” tipped the scales today inside the San Diego Sports Arena in Southern California. Please click HERE if you would like to stream Saturday’s weight contest. A light heavyweight scrap between the up-and-coming Jon Jones and veteran Vladimir Matyushenko will headline the freebie Versus broadcast tomorrow evening. “Bones” owns an impressive 10-1 professional record and has been pegged as a significant favorite to continue down his dominant ways. Despite Matyushenko’s decorated resume, the Gambling Gods have profess the journeyman is a 4-to-1 underdog against the stud. A pivotal middleweight tussle between former top contender Yushin Okami and fast-rising superstar Mark Munoz will open up for the light heavyweights. Sunday’s Versus broadcast airs live beginning at 9PM ET/6PM PT. 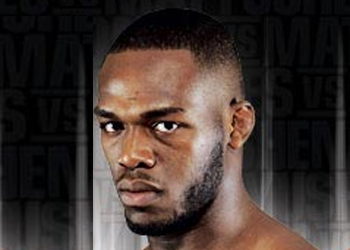 * – Johnson was unable to cut the excess weight and will fight at 172 pounds and forfeit 20% of his purse.